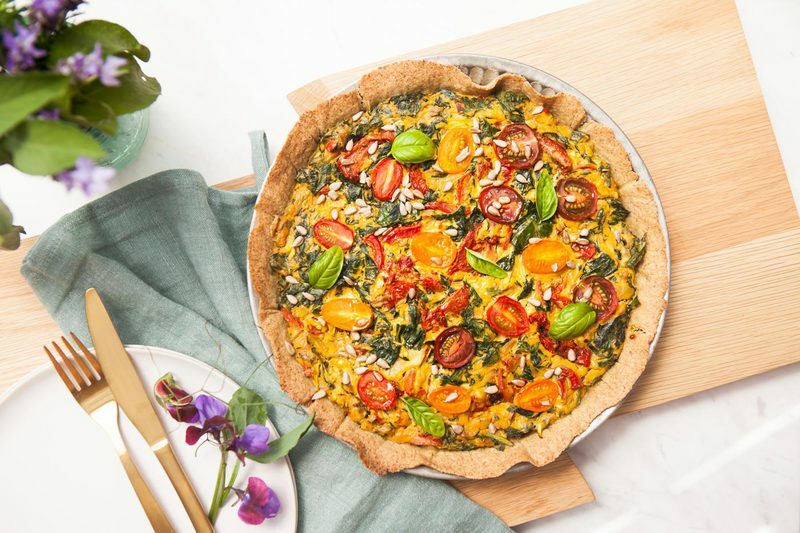 This has to be the ultimate picnic quiche – a light, millet and sunflower seed crust packed full of nutrient dense greens (and wild edible weeds from the garden if you’re so inclined! ), finished with crunchy seeds and soft juicy tomatoes. Naturally gluten, egg and dairy free. I served this with a mess of fresh sunflower seed sprouts and a generous few tablespoons of gut-friendly raw sauerkraut. 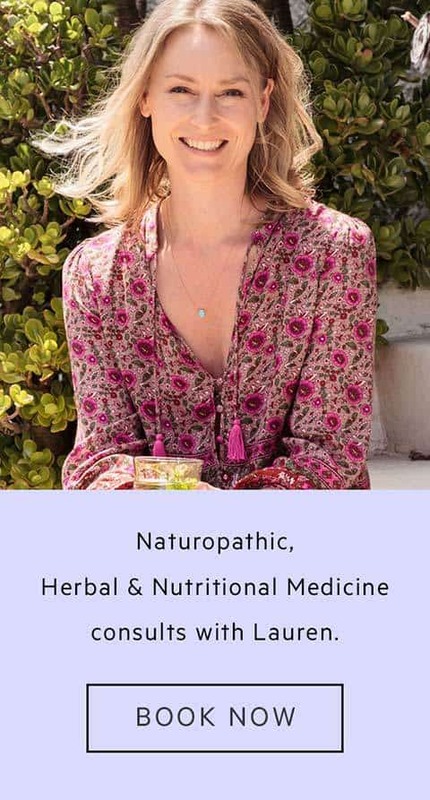 We are mere days away from finishing our Naturopathy and Herbal Medicine degree – my fellow practitioners and I – of which there are just 21 – a small and intimate group, have all helped each other cross the finish line together. It’s been such a beautiful experience feeling nurtured and supported and so much part of a team, we’re all leaving as good friends. I know that initial deep-seated fatigue that sets in as soon as you stop, is waiting for me just around the corner – but I’m actually very much welcoming it this time. I need to let my body relax and sigh – and surrender to the doing of nothing, letting all the unravelled bits come back together again. And so, I hope to enjoy a sleepy, sweet and slow summer, filled with everything I’ve ached to do but just didn’t have time for. I want to give my garden some love, take my Nana out, make some herbal skincare from scratch, get a massage, get messy with some creative recipes, clean the house (specifically: the pantry. How good does a clean pantry make you feel?! ), and, get married (I haven’t planned anything yet: but I know this much: it will be in March because the weather is beautiful, and it will be low-key and relaxed because that’s how I’m rolling from this point forward!). One of the things I’m most looking forward to are Summer picnics. My partner has generously bought me a beautiful woollen Peruvian picnic blanket I spied on Etsy (graduation present!) which I am eagerly awaiting the arrival of – so now all I need is a few nourishing recipes up my sleeve to keep on summer-picnic-rotation. This is a recipe I have been playing with over again a few times now. 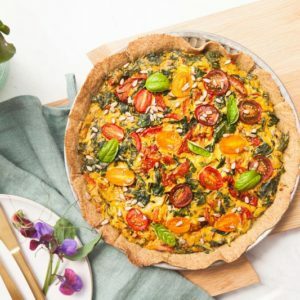 I was a bit fussy with how I wanted the gluten free crust to turn out – I wanted it thin, light and crisp, not thick, doughy and stodgy. The hero should really be the soft and vegetable-packed filling. I settled on a blend of millet flour and ground sunflower seeds in the end. Both of which you can make yourself by grinding whole dried millet in the blender to become a fine flour, and likewise, blending whole sunflower seeds down to a meal. It will save you a little money this way too. The addition of psyllium husks, a fibre commonly sold at health stores or natural food stores (as a laxative), acted as an egg replacer, and with the addition of water and a little olive oil – swelled to give a lovely classic dough texture. I’m a huge fan of millet as it is so nutrient dense. It is known as ‘Queen of the Grains’, and contains high amounts of the minerals copper, phosphorus, manganese and magnesium. One particular variety (Finger millet) has the highest calcium content of all the cereal grains – 344mg per 100g is indeed fairly impressive. I have written more about millet here. 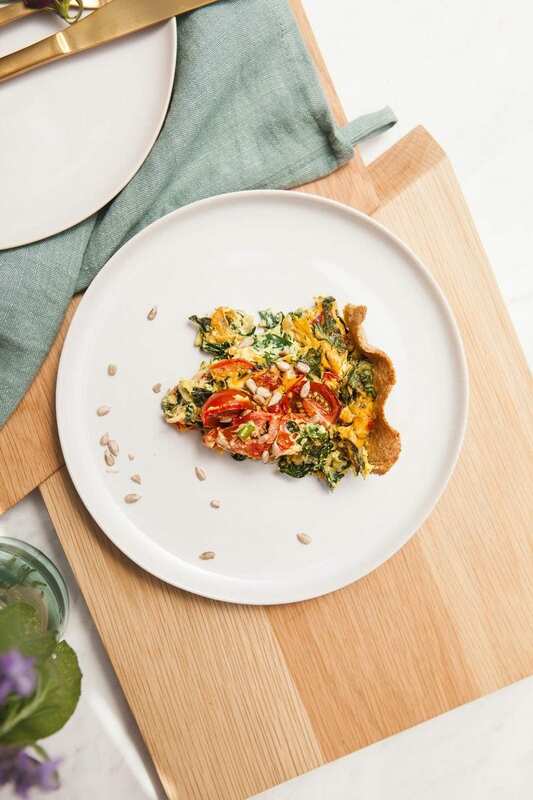 For the filling, I blended organic tofu with fresh oat milk (I make my own), turmeric (for colour), nutritional yeast (to mimic cheese), and black salt (lending an eggy-like taste – more on that here). I had ample bunches of organic greens from the markets – and sautéed them lightly before folding them through the above mixture. Although my garden is fairly bare at the moment – I did gather a handful of puha to add to the mix. Puha is a common weed native to New Zealand – it grows everywhere. Weeds are actually highly nutritious, so if you do have a slightly more ‘wild’ garden, I encourage you experiment and incorporate a few new greens into some of your meals (for example – dandelion leaves, chickweed, self heal, plantain). 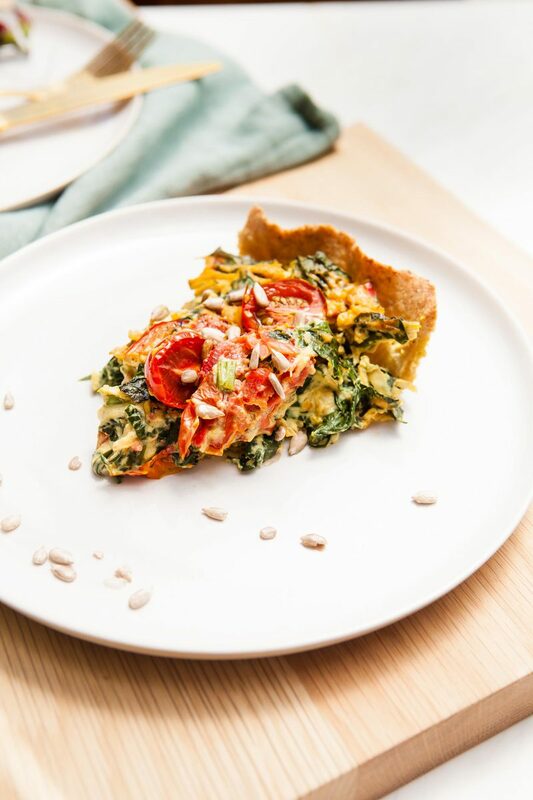 Nutritionally, this quiche makes for a balanced meal, with a good amount of protein coming from the tofu, nutritional yeast, millet and sunflower seeds. 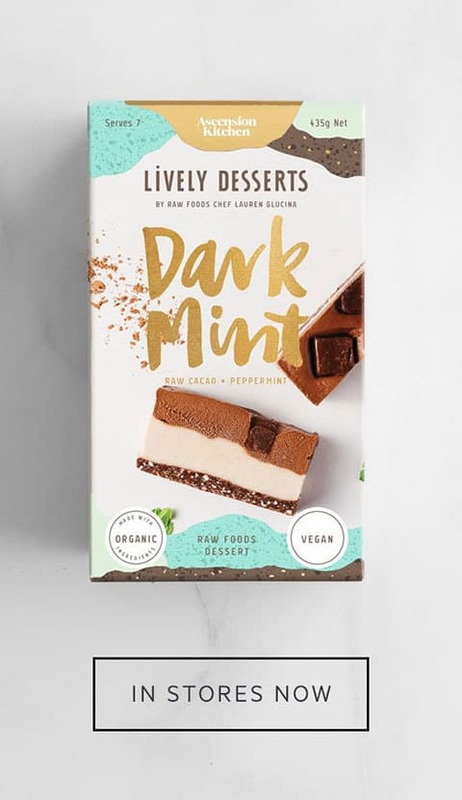 A very quick calculation showed each serving contains approximately 23g of protein, 10g of fibre, 250mg of calcium, 5mg of iron and 2mg of zinc – excellent! 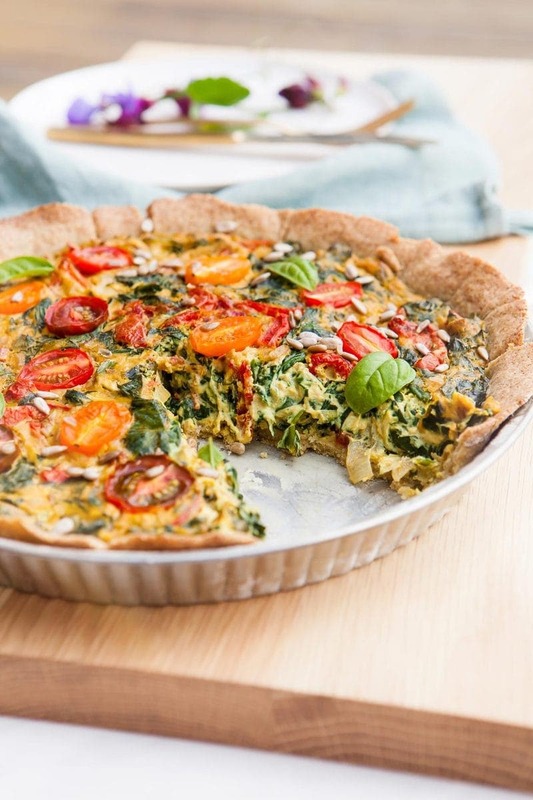 Note – my partner and I are rather piggy, so in our household, this quiche only serves 4. 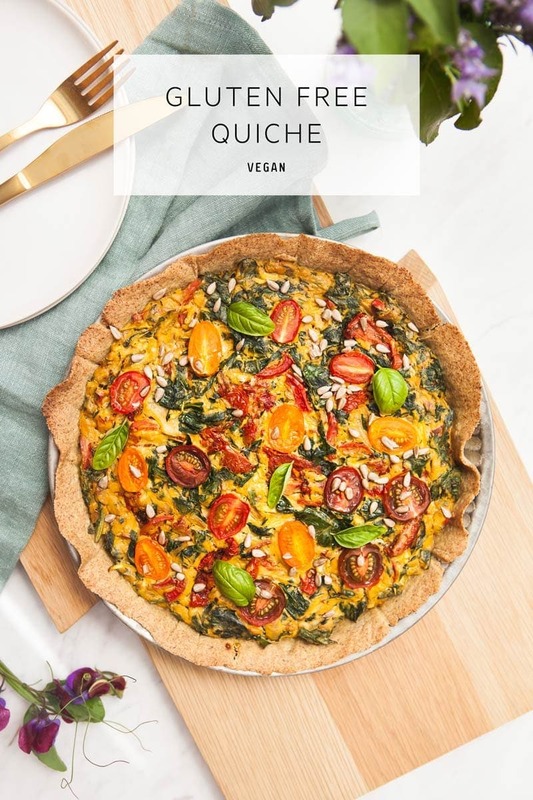 The Ultimate Gluten Free Vegan Quiche! 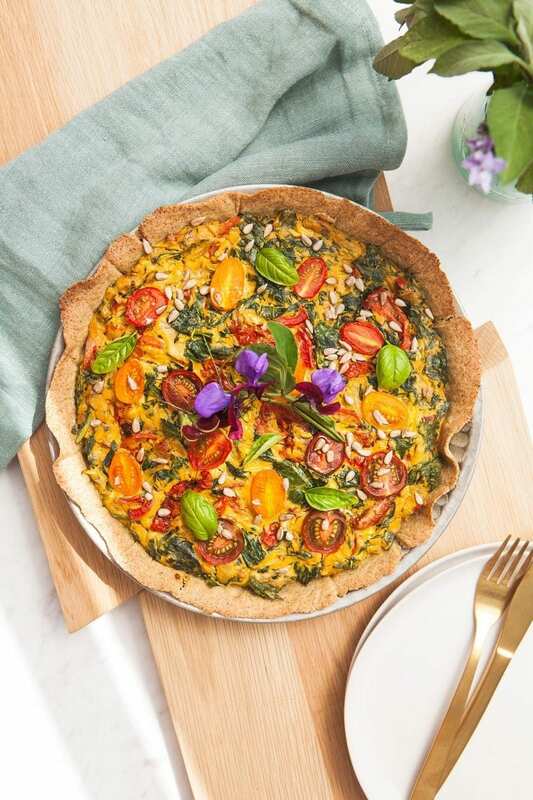 With sun-dried tomato, spinach and kale and a light millet and sunflower seed crust. Perfect picnic fare. Pre-heat oven – 200˚C (390˚F). Combine all ingredients in a large bowl till a sticky dough forms. Set aside for at least ten minutes to let the dough firm up. Meanwhile, lightly oil a spring form pie dish and dust lightly with flour (I use rice flour). Lay a sheet of baking paper over the kitchen counter, then place dough in centre. Place a second sheet over the top and use a rolling pin to roll the dough into a thin, even circle the size of your pie dish. Peel the top layer off, then carefully manoeuvre the dough into the pie dish. Press the dough into the creases of the base but leave the edges as they are (scalloped) rather than pressing them firmly into the sides (easier to remove this way – plus looks nice and rustic). Bake for a maximum of 10 minutes then remove and set aside. Pat the block of tofu dry using a paper towel, cut into small cubes and blend with oat milk till smooth. Add all other ingredients and blend again. Set aside. Remove tough stalks from spinach and kale, roughly chop, wash, and spin dry in a salad spinner. Prep the rest of the ingredients: peel and finely slice onion, peel and mince the garlic, top and tail then grate the zucchini – then wrap in paper towels and squeeze the moisture out, clean out the capsicum and slice finely, and drain off extra oil from the semidried tomatoes. Heat olive oil in a frying pan, and sauté onion till golden, set aside in a large mixing bowl. Cook the capsicum till soft then add to the bowl. Add greens in small batches with the garlic, and cook till just wilted. Add to the large mixing bowl. Finally add the raw grated zucchini, and pour over the blended tofu mixture. Pour batter into the prepared pie dish, then press in the semidried tomatoes and halved cherry tomatoes. Cover with tin foil and bake at 200˚C (390˚F) for 25 minutes. Remove foil, turn down heat to 180˚ (356˚F) and bake for another 20 minutes or till the surface has turned golden. Check in on it to make sure the crust doesn’t burn (you may have to turn the heat down). To serve, sprinkle toasted seeds over the top. We enjoyed a large slice with a side of sauerkraut and a big handful of fresh sunflower sprouts. Psyllium husks are found in health stores or natural food stores, sold as a bulk laxative. They are simply the fibrous husks from the psyllium plant. When you mix them with water, they swell and gel, making a great replacer for egg. Ground flaxseeds would be an alternative. Black salt is an Indian volcanic rock salt with a naturally sulphuric quality to the taste. It is actually a dusky pink colour but turns black when mixed with water, and is found in speciality food stores. Plain rock salt/sea salt is an alternative. Nutritional yeast is an an inactive yeast grown on the top of molasses – it is different to Brewer’s yeast – a live yeast. It has a naturally cheesy taste and is often fortified with B group vitamins. Commonly sold now at health stores and supermarkets.